Local authorities have the power to transfer land and buildings to community and voluntary sector organisations at less than market value where they are able to demonstrate that doing so will result in local improvements to social, economic or environmental well-being. Three-quarters of councils are now estimated to be actively engaged in CAT. The Labour government piloted CAT in 2008 with its Advancing Assets for Communities programme. Birmingham participated with two CATs: Norton Hall and Perry Common Community Centre. The Coalition government funds CATs through the Asset Transfer Unit, providing detailed information about how communities can express an interest in taking over a publicly owned asset in their local area to one-third of all Councils. Community Asset Transfer Development Programme in 2009-10, funded by AWM. 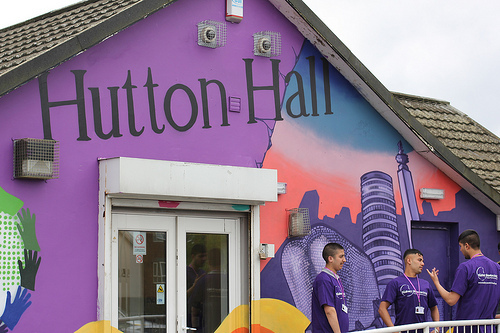 Examples in Birmingham include Hutton Hall in Washwood Heath, Norton Hall and Perry Common Community Centre. But with the current cuts the number is set to expand. There are two issues: the cuts and democracy. Of course what drives the Council’s CAT agenda today isn’t ‘community empowerment’ for its own sake, it’s the cuts. They aim to save money by cutting the staff employed, the funding for activities, and the cost of upkeep and refurbishment – either to zero, or to a minimum. This means that community groups will need either to replace paid council staff by volunteers, adding to the unemployment figures, or raise charges, or both. And it means they may well inherit premises which need money spending on them – again, volunteer labour and higher charges. We recognise that CAT can appeal to local community residents and organisations because it can give them direct management control over a local community facility. It contrasts with the top-down bureaucratic control by the Council that is often people’s experience. We strongly support democratic management of local public facilities by the local community. It can foster collective community spirit and democratic self-organisation. But community management is not the same as community ownership, and we are strongly against the ownership of local facilities being transferred by the Council to other bodies, however democratic they are. Retaining ownership by the Council means they are always in the public domain and under the control of and accountable to elected local government. Once ownership is handed over to another body that public accountability to the whole community of Birmingham is lost, and however democratic and public-spirited a CAT body is today, there is no guarantee that tomorrow it may change, and perhaps fall into the hands of an unrepresentative clique who seek to deny the community its use or to use or sell the facility for private profit. Why is the government promoting CATS? CATs need to be seen as just one method for removing public services from local authorities and from other state service providers such as the NHS and turning them into what are called social enterprises. While one aim is to cut public spending, this is both an end in in itself and a means to two other ends: to shrink the state as a provider of public services and to create markets. According to Social Enterprise UK, ‘Social enterprises are businesses that exist primarily for a social or environmental purpose.’ A social enterprise reinvests its profits, not makes profits for shareholders like a commercial business. Social enterprises can have a variety of legal structures: most commonly a company limited by guarantee (which may be a registered charity) or an Industrial and Provident Society (which may be a cooperative existing for the benefit of its members). A CAT body could be either of these. Social enterprises as vehicles for the provision of public services were initiated by the Labour government. A Right to Request scheme was launched by the Department of Health in 2008 to enable frontline Primary Care Trusts (PCTs) to establish social enterprises to take over the provision of clinical and support services. The Coalition government has accelerated the promotion of social enterprises to deliver public services. They launched a successor programme to Labour’s Right to Request, the Right to Provide, in 2010. 47 social enterprises were established between 2010 and June 2012, all but 3 in health and social care, involving over 20,000 staff, with a further 37 in development. The Coalition’s key policy document is the 2013 Open Public Services white paper which envisages the marketisation of public services with the state as the commissioner not the provider, and delivery to be in the hands of private companies where profitable and the voluntary sector and social enterprises where not profitable enough. The white paper was followed by the Localism Act in 2011, which included the Community Right to Challenge under which community organisations or employees could take over local authority provision. One form of social enterprise promoted by government is mutuals. According to the Cabinet Office Mutuals Information Service ‘A public service mutual is an organisation which has left the public sector (also known as ‘spinning out’) but continues to deliver public services. Mutuals are organisations in which employee control plays a significant role in their operation.’ This is the rhetoric but in reality most so-called mutuals are run by a management body, not by employees. It’s a neo-liberal policy but clothed in the rhetoric of employee and community empowerment. It is claimed that delivering public services by social enterprises frees them from the constraints of state bureaucracy and stimulates innovation through a combination of market incentives and social entrepreneurship, harmonising social and economic imperatives. The result is a spectrum of privatisation strategies. At one extreme are selling public services outright, contracting out, public-private partnerships and joint ventures – creating a market for private profit. At the other extreme is handing services which aren’t profitable over to unpaid volunteers (as in ‘Stand Up for Birmingham’). This saves money, reduces the state but doesn’t create a market. In between are social enterprises – non-profit making but usually income generating and therefore partly or wholly financially self-funding. They may create a competitive market or quasi-market in a sector which is not commercially profitable enough to attract private companies. One example of a social enterprise in Birmingham is Services for Schools – S4E – which was created by the Council a year and a half ago as a charitable company entirely separate and independent from the council, which then transferred to it three school support services, including Music and Health Education. This could well be the model for future services in the city.